Bitcoin Cash is the most successful fork of Bitcoin (BTC) and one of the most prominent cryptocurrencies in the industry. For a long time, Bitcoin Cash was in top-3 cryptos in terms of market capitalization alongside Ethereum and Bitcoin. However, the previous year changed BCH’s position and at the time of writing this article, the coin is only 6th in market cap, displaced by Ripple, EOS and Tether. However, 2018 was a tough year for the whole market and Bitcoin Cash still managed to remain relevant and actively traded. More than that, the coin got through a number of technological changes which may very positively affect BCH price prediction. Bitcoin Cash is a fork of the first cryptocurrency, Bitcoin. It was designed to provide a more scalable and easy-to-use alternative to the original coin and was established on August 1st, 2017. The coin should’ve become a cryptocurrency suitable for day-to-day transactions. In order to achieve that goal, the block size of the new coin was increased from 1 MB to 8 MB making transactions much faster. The newborn crypto was a success; the Bitcoin Cash price predictions were mostly positive, it was listed on multiple exchanges and became widely used by the community. Still, BCH price history is not a one of stability. Bitcoin Cash price chart shows that the coin is very volatile in its value and is strongly linked to the overall state of the market. However, the coin is far from being a failure. Its price got to the peak shortly after its creation. On December 20, 2017 one BCH coin had a value of more than 4000 USD. Despite the fact that BCH price today is significantly lower, the coin is still actively traded on almost every cryptocurrency exchange. You can find more info on Bitcoin Cash here. For the most part of 2018, the Bitcoin Cash’s price chart has been demonstrating a descending trend. Similarly to most of the other well-established cryptocurrencies, a BCH price analysis is largely based on the prediction for the overall future state of the market. This is reflected by the fact that Bitcoin Cash price is almost similar to the same of Bitcoin. 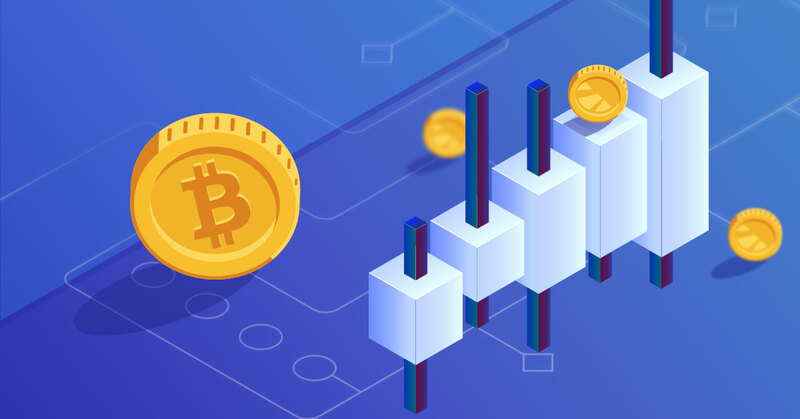 The market performance of the coin is strongly dependent on the community’s trust in the industry and the relevance of blockchain-based money. You can always check out the current price of BCH and exchange it at the best rate here. Bitcoin Cash has a number of significant advantages compared to most of the other cryptocurrencies. One of the most important ones is its large and dedicated community. Despite being on the downtrend in terms of price, the coin is still under active development and is a major theme for the media. One of the most important recent news for BCH price prediction is its hard fork that took place on November 15. The fork happened due to the two competing proposals – Bitcoin ABC and Bitcoin SV. As of now, after the fork, Bitcoin ABC proposal is considered to be the “real” Bitcoin Cash and Bitcoin SV is an independent project that is developed by another team. The fork strongly damaged the Bitcoin Cash’s price forecast. Active changes in the codebase, alongside the market’s uncertainty in terms of the future of the crypto, dropped its price. As of now, BCH seems to remain in search of a stable foundation for growth. Bitcoin Cash price prediction today is also largely influenced by another major problem. It seems that the coin doesn’t have much to offer to its users. It does not provide advanced anonymity, it isn’t the fastest solution for the transfer of value and isn’t stable enough to store value in. Bitcoin Cash price prediction for 2019 is darkened by the lack of use cases for the coin. It is likely that its price will fall lower than 90 USD. However, as was mentioned earlier, BCH still has one of the biggest and most dedicated communities in the industry. It doesn’t seem possible for the coin to lose its core development team and its large support in the industry. This fact, alongside political and economic uncertainty of the traditional financial institutions, makes the Bitcoin Cash price prediction for 2020 much brighter. Long-term BCH price forecast is positive as it will surely be one of the biggest gainers from the overall growth of the cryptocurrency industry. It is possible for the coin to increase its price tenfold in the middle of 2020; it will hardly update its record but most probably will show significant growth. Disclaimer: This article should not be considered as offering trading recommendations. The cryptocurrency market suffers from high volatility and occasional arbitrary movements. While price analysis is a useful tool, it should not be considered predictive for the future performance of any investment vehicle. Any investor should research multiple viewpoints and be familiar with all local regulations before committing to an investment. Website personnel and the author of this article may have holdings in the above-mentioned cryptocurrencies.